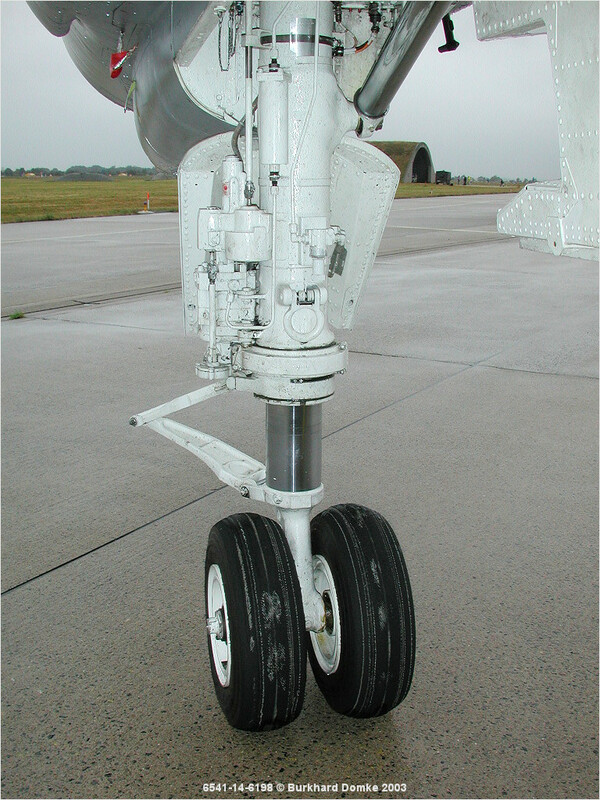 Nose landing gear viewed from astern. Wheels are worn down to the fabric. Note angled torque link 'scissor' and tie-down shackle above oleo.